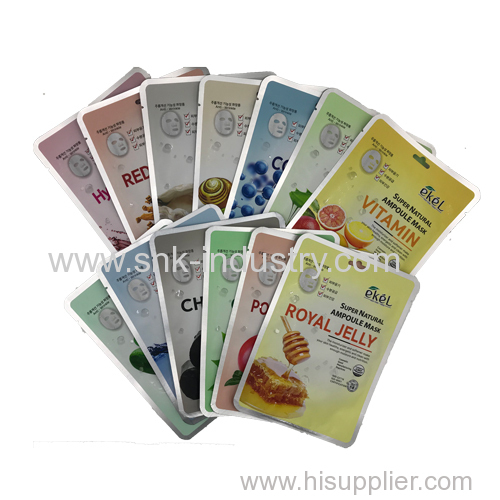 These ampoule mask sheets adheres beautifully to the skin without feeling heavy. All of the 13 kinds work to calm irritated skin and promote clear and translucent skin. 1) Cleanse and tone skin. 2) Place sheet mask onto face. Relax for 15-20 minutes. 3) Remove sheet mask and pat in any remaining essence for maximum absorption.